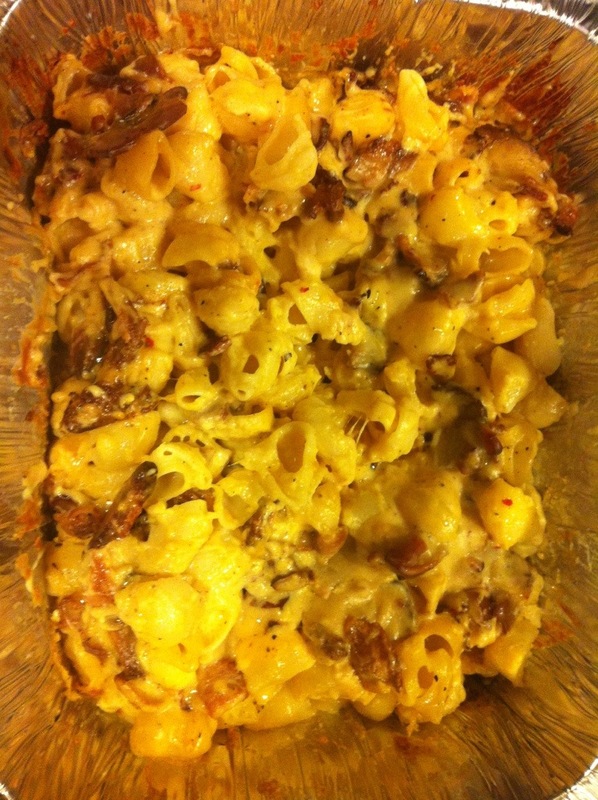 Due to some recent requests, here is my recipe for my gluttonous shells and cheese! I sometimes make another round of the cheese sauce once I see how saucy it is! The key is to make sure it doesn’t get dried out when baking it, so you may want to add more sauce than you think you may need. Also, you can choose to use any cheese. These are just the 3 I like. Cook pasta and bacon (crispy) as directed on packages. Meanwhile, melt butter in large saucepan on low heat. Stir in flour; cook 2 min. or until bubbly. Gradually stir in milk. (Let sauce start to thicken before adding more milk.) Cook on medium heat until mixture comes to boil, stirring constantly. Simmer on low heat 3 to 5 min. or until thickened. Add all cheese; cook and stir 2 min. or until melted. Add salt, pepper, garlic powder (and red pepper flakes for spice if wanted) to taste. Crumble bacon and stir into sauce. Drain pasta. Add to sauce; mix lightly. Spoon into 1 1/2 quart casserole dish.